I’ve been listening to another story of a woman needing to reinvent herself after a life-changing experience. 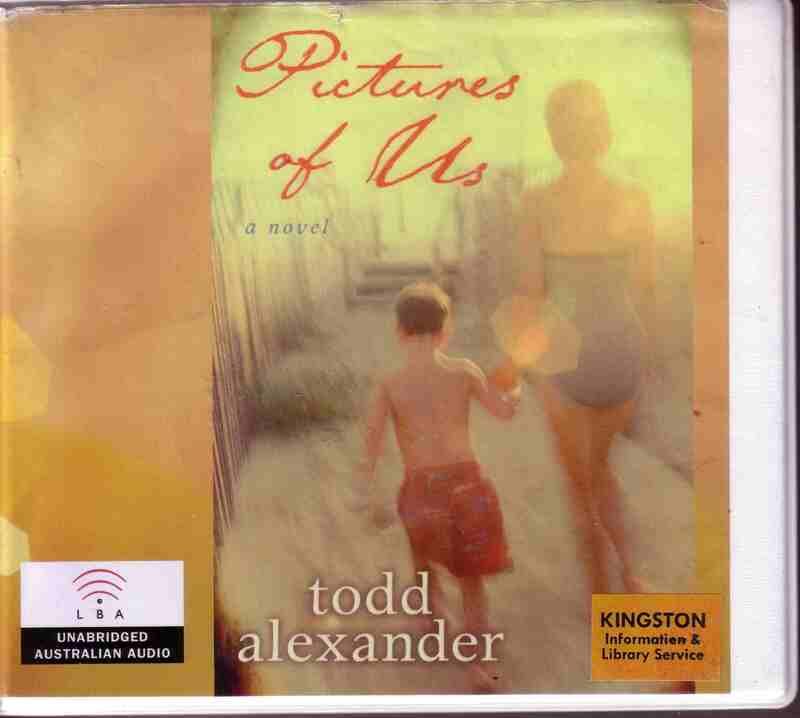 Pictures of Us (2006) is Todd Alexander’s first novel and it’s an examination of a family that has grown apart as the children became adults. Maggie Appleton has been too busy to worry much about this, but her life changes and she realises how wide the gulf is between them. Isabel is far away in Paris, and Patrick is an infrequent and detached visitor. Both of them have their own issues with their mother, but Patrick’s homosexuality is one that has been hard for Maggie to accept. Todd Alexander charts the journey of these three people towards truth and acceptance by gradually revealing the secrets of a family not really coping with reality. A wise and thoughtful story, Pictures of Us offers a glimpse of family life that I found more compelling as the story progressed. Deidre Rubenstein brings this story to life with her usual accomplished narration. I have listened to quite a few of her recordings now, and she has a marvellous repertoire of voices which makes listening a pleasure. Todd Alexander has a rather stylish website here, and you can buy the book through eBay.